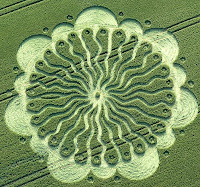 The preparations to facilitate the Conscious Convergence, July 17‐18, 2010 have now begun. Even if it will need the support and active collaboration of a large number of people the snowball has started rolling. Very possibly, this will become an event that influences the course of our civilization by setting the intention to manifest unity consciousness on a large scale with the ninth wave of the Maya calendars. I would then now like to share my own vision of the Conscious Convergence, and what it may accomplish, in an article that does not have too much technical detail. Over the time period since the Harmonic Convergence in August of 1987, and maybe even earlier than that, an increasing number of people, and not just a few select mystics, have come to directly experience states of unity with all things and a purposeful direction in their own lives. Yet, although sometimes such experiences may have been enlightening or blissful, they have not come to alter the way our world at large operates. While this fact may not surprise us there is really no reason that this should be taken as a given. Such experiences, sometimes resulting from spiritual practices, have clearly been at odds with both the predominating materialist worldview and the one that sees the divine as something separate from ourselves. An increasing number of people have thus come to directly experience that some “energies” greater than themselves are working to provide guidance for them. In everyday parlance we talk about certain things having been “meant to happen” and other things “not meant to happen.” This direct experience of guiding energies is a relatively recent undercurrent of our civilization. It also intensifies as the frequency of shifts between calendrical energies increases as we approach the completion of the Mayan calendars. It is as if, through this frequency increase, the cosmic plan is now calling us to wake up and realize that we are here for a reason and that the universe has a plan. This ongoing awakening has generated a fairly widespread perception that the end of the Mayan calendars will bring a “shift in consciousness”. Such experiences are of course made sense of in a multitude of different ways, sometimes in terms of divine intervention or astrology, depending on the individual. Yet, they always seem to imply that the universe has a higher purpose. The perception of such a purposeful direction may be the least common denominator for those that will chose to participate in the Conscious Convergence. On my own part I have come to understand what is “meant” and “not meant” to happen primarily from the broad perspective of the Mayan calendars, simply because of the vast body of scientific evidence showing that the energies these describe have been driving evolution in all of its aspects from the beginning of time. In parallel with the increase in individual experiences of guidance there has also been a number of initiatives to organize meditations or other global spiritual events on special days that often focus on a positive cause such as peace. What I feel we need to realize however is that despite these experiences of individual or collective unity, those that embody them still remain largely fragmented. As yet, the intention to manifest unity consciousness has thus not been firmly anchored in our world. Someone who meditates is perceived as doing so as a private act and as part of his or her individual path. A meditation to heal the earth is seen as a basically uncommitted event of a day or two before things go back to “business as usual”. In society at large and its media it is relegated to a fringe phenomenon, despite the large number of people embracing it. I however feel that the Conscious Convergence will be, and has to be, a unique event that is something more than just another global meditation. It is about anchoring an intention to manifest unity consciousness on an ongoing basis. The current fragmentation of both individuals and groups is a critical point. It is here I believe the Conscious Convergence will enter into the picture to give hope and visions for the future. Part of the reason that the intention towards unity consciousness has not been anchored in the consensus reality is that events may not have gathered a critical mass. I feel however that a more important factor has been that individual experiences and events have not always been perceived as steps in a cosmic time plan that has a clear direction towards unity consciousness. This absence of a context in time has probably had much more far reaching consequences than most people recognize. It has affected not only the role of those that have become awakened, but also a broad range of grass root movements focusing on progressive socioeconomic change. If such movements are unable to see how their aspirations are part of a cosmic time plan for the planet they too will be fragmented and their fruits often be temporary or incorporated in the already existing dualist civilization. The fragmentation of the experiences of unity consciousness, and the absence of a collectively existing intention to manifest this, thus have consequences that go farther, much farther, than most people would tend to believe. It influences a very high number of organizations and projects that are potentially healthy to our planet because these, and the social movements they give rise to, exist without a context in time. All such movements that intend to manifest a world of unity consciousness may thus benefit from their participation in the Conscious Convergence exactly because this provides such a temporal framework. From this also follows an interest of the powers that be to suppress information about the Mayan calendar that may serve as inspiration and encouragement for those desiring a new course for our civilization. The big media, including but not limited to Hollywood, have thus touted a distorted view of the Mayan calendar as simply a date in the future when something dramatic is supposed to happen. It is here almost irrelevant whether this change is seen as positive or negative, since such a view is so totally at odds with the Mayan calendar to begin with. The message of the media has thus been: “Do not take responsibility for co-creating the future! Just wait and see!” Nothing could be further from a Mayan perspective, and the truth, than an obsession with a singular date in the future, when something is supposed to just fall down on us from the sky. The Mayan calendar describes processes, processes that have been going on from the beginning of time and step by step have been lifting human beings to higher frames of consciousness. As part of this, humanity is now heading towards the initiation of a new process, the ninth wave, that is meant to take us to a place of unity consciousness where we have never been before. Hence, the solutions of the past are not particularly likely to be applicable and so we are now called to develop a new level of creativity. The Mayan calendars have thus come to be perceived in a disempowering way, rather than as guiding tools for positive social and spiritual transformation. The reason for this is mainly that it is not generally known that there is not merely one, but in fact nine, calendars that are about to be completed. Each of these calendars describes a wave movement of evolution and it is the ninth of these that is designed to bring the unity consciousness that represents the current hope of mankind as it provides a necessary starting point for the birth of a new world. Yet, unless there is a conscious collective intention to affirm this ninth wave what is the likelihood that this will manifest? One might even ask whether without such an intention to manifest unity consciousness, anyone has reason to complain if it is not brought forth? To have this happen we need to align with this calendar in time, otherwise I believe we will lose our power to influence the course of events. The Conscious Convergence is thus set so that we will be able to prepare ourselves for the coming energies in advance and so be able to align with them. Unlike the Harmonic Convergence in 1987 that was a relatively spontaneous event, I, for one, believe that the Conscious Convergence in 2010, due to the current high speed of time, will need to be unified by a common intention in order to make a difference. As we approach the simultaneous manifestation of the nine waves there will be complicated overlappings of waves that may be difficult to surf without such a shared intention. My vision for the Conscious Convergence is that it will be an event that helps people break out of the current constraints and fragmentation and facilitates for us to co‐create our future especially as now many of the established structures of society may be falling apart. With the impending unity consciousness many things that are not consistent with this are in fact becoming visible in the new light. An increasing number of people are losing faith in churches (Ireland and US), mosques (Iran) as well as bankers and politicians (all over), and so much of the previous functioning of the world may be overturned. It then becomes all the more important to establish an intention of manifesting unity consciousness as a basis for novel solutions. I however do not think that the Conscious Convergence is for those that contend themselves by pointing out and criticizing all the negative aspects of our current world and its system of rule. Rather it is for those that want to create a more positive intention, anchor this broadly and manifest it in the world. An intention to manifest unity consciousness thus does not only serve to guide ourselves or our individual development, but here it also refers to the possibility that it may guide our civilization at large. Such a collectively shared intention held by a critical mass of people may start to live a life of its own and give a direction to a wide variety of projects. If this is to happen it is however critical that the intention is authentically held and not coming from a desire to look good in our own eyes, or in those of our friends, teachers or gurus. Only an intention authentically shared by a critical mass of sovereign individuals may play a positive role for co‐creating our future. Conscious Convergence then means that it is for people who are conscious of their intentions. Unity consciousness does not mean conformism or that everyone is shaped in the same mold to think or look alike. Rather, unity consciousness will generate a world that is the very opposite to conformist. Because unity consciousness is about transcending the judgmental dualities and inherent dominance mentality generated by lower waves it allows for a much wider variety of viewpoints and life styles than previously. Thus, the Conscious Convergence refers to the coming together, convergence, of people from many different walks of life with very different backgrounds and viewpoints to express and experience a shared intention for the future. The two initial days, July 17‐18, 2010, may be days for individual experiences of awakening as well as a collective expression of a new commitment to climb to the highest level of the Mayan calendar and co-­‐create a world truly based on peace. I for one however do not believe that the continued climb will be easy and no one knows exactly how long time it will take until the new world based on this new consciousness stabilizes. Yet, I also know that it is only through a shared intention aligned with the cosmic plan that there is any reasonable hope for a future. The Conscious Convergence is thus also about retrieving the Mayan calendar to its rightful place as a guide on the common path towards a world based on unity consciousness. In a time of dramatic change it becomes all the more important to have a firmly anchored intention to relate to as we approach the full completion of all nine calendars. I believe that only such an intention, existing on the level of our civilization, may serve to give us guidance in a time when the old social structures will very possibly disintegrate. The Hopi prophecy for instance urges us to gather ourselves and be good to each other. They warn that the time of the lone wolf is over. We can only survive if we cooperate on achieving common goals. This is obvious to any faithful Christian as well. Many people realize that there will be a need to recreate our civilization in the time ahead and if nothing else a series of natural disasters have told people that this may now have reached a dead end. To get out of this dead end, many are suggesting profound changes of our current economic and social system in order for humanity to survive into a better world. This points to the Conscious Convergence also as an event for networking in a very broad sense. If the Conscious Convergence can gather people that are seeking this new direction and experience that they have the energies of the cosmic plan on their back then I would say that my vision of this event will have been fulfilled. It is however also part of my vision that millions will share their own visions based on this common intention of manifesting unity consciousness. The preparations for the ninth wave would allow many positive aspirations to be anchored in a purposeful process. When millions are taking the stand that there is a higher purpose to this planet than just to end in a series of disasters then I believe providence will move. When millions are showing each other that they too see a higher purpose to life, and intend to manifest it together, then a significant step towards the fulfillment of the cosmic plan will have been taken. Carl Johan Calleman, 5 Jaguar. This years season is only days away - what will it bring ? Pioneered by webbot's Cliff High, Igor and George Ure - a fantastic perspective of spinning crop circles to see intriguing patterns unfold. It is a psychedelic assault on your visual senses. 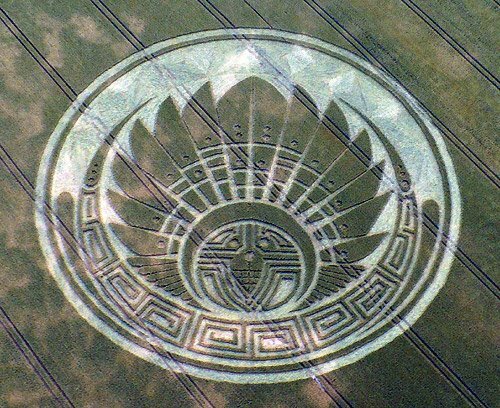 Does spinning these crop circles at certain speeds or revolutions reveal anything? I see Merkabas appear from the least unlikely formations. The motion of some make them seemingly come to life - and change over and over. 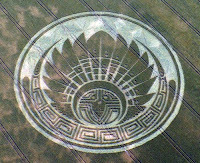 I have included all crop circles as well as Cliff High's software "Swirlies 0.3" for you all to enjoy - is this one way of unlocking one interpretation of these mysterious, and unexplained formations? You be the judge. We live in a Holographic Reality where any one change in the Hologram creates a ripple effect and begins to change and affect the entire hologram. This effect was also observed in the 1960's by several Japanese primatologists who were studying the Japanese macaques or Snow monkeys. Here is an article by Owen Waters about the 100th Monkey Effect which clearly shows this quantum evolution taking effect. The Shift is the awakening of humanity’s heart. This transformation of consciousness, the greatest one ever recorded, first became apparent in the mid-1960s and has been building momentum ever since. The Shift is a collective transformation consisting of the sum of each individual’s step into the New Reality. Each person, in their own time, is moving forward into a stage of consciousness which brings a wider vista and an awareness which springs from the heart. When enough people’s primary attention becomes focused through their heart chakras, then the ‘hundredth monkey effect’ will occur. The Hundredth Monkey Effect was first introduced by biologist Lyall Watson in his 1980 book, ‘Lifetide.’ He reported that Japanese primatologists, who were studying Macaques monkeys in the wild in the 1950s, had stumbled upon a surprising phenomenon. 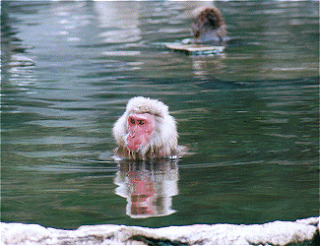 The Japanese monkey, Macaca fuscata, had been observed in the wild for a period of over 30 years. In 1952, on the island of Koshima, scientists were providing monkeys with sweet potatoes dropped in the sand. The monkeys liked the taste of the raw sweet potatoes, but they found the dirt unpleasant. An 18 month old female named Imo found she could solve the problem by washing the potatoes in a nearby stream. She taught this trick to her mother. Her playmates also learned this new way and they taught their mothers too. This cultural innovation was gradually picked up by various monkeys before the eyes of the scientists. Between 1952 and 1958 all the young monkeys learned to wash the sandy sweet potatoes to make them more palatable. Only the adults who imitated their children learned this social improvement. Other adults kept eating the dirty sweet potatoes. Then something startling took place. In the autumn of 1958, a certain number of Koshima monkeys were washing sweet potatoes -- the exact number is not known. Let us suppose that when the sun rose one morning there were 99 monkeys on Koshima Island who had learned to wash their sweet potatoes. Let's further suppose that later that morning, the hundredth monkey learned to wash potatoes. By that evening almost everyone in the tribe was washing sweet potatoes before eating them. The added energy of this hundredth monkey somehow created an ideological breakthrough! Colonies of monkeys on other islands and the mainland troop of monkeys at Takasakiyama began washing their sweet potatoes. Thus, when a certain critical number achieves an awareness, this new awareness may be communicated from mind to mind. 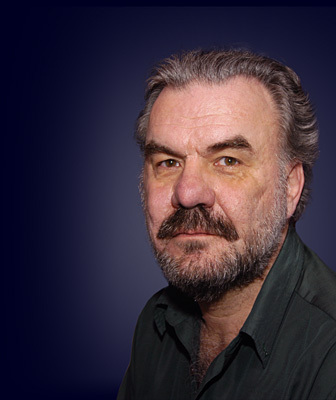 Lyall Watson had originally researched and assembled the story from the available testimonies of the primate researchers. Because the phenomenon took the researchers so much by surprise, they had not counted how many monkeys it took to trigger this effect. So, Watson proposed an arbitrary figure of ninety-nine monkeys, and said that one more, the so-called one-hundredth monkey, would then provide the critical mass of consciousness necessary to trigger the effect. The new behavior pattern spread to most, but not all, of the monkeys. Older monkeys, in particular, remained steadfast in their established behavior patterns and resisted change. When the new behavior pattern suddenly appeared among monkey troupes on other islands, only a few monkeys on those islands picked up on the new idea. The ones most receptive to new ideas started imitating the new behavior and demonstrating it to the impressionable younger ones. Thus, they too began their own path towards their eventual hundredth monkey effect. The mechanism for this transference of ideas works the same way for monkeys as it does for all sentient beings. We exist within an atmosphere of global mind. The human brain is constantly receiving and transmitting mental pictures and information to and from that mental atmosphere in which we are immersed. The global mind, otherwise known as Jung’s collective unconscious, does not cease to function because a few skeptics don’t like its effects. It functions just like it always has, passing information from one individual to another based upon their common frequency of consciousness. If progressive monkeys had a new idea, then so did other progressive monkeys on other islands. They resonated at the same frequency of consciousness. Inventions often occur at the same time by inventors who are not in physical contact with each other. For example, in 1941, Les Paul designed and built the first solid-body electric guitar just when Leo Fender of Fender Musical Instruments was doing exactly the same thing. Have you ever had an idea, then seen other people express or use that idea. You probably said, “Hey! I thought of that first!” Well, that’s the way the global mind works. It’s an atmosphere that you share with all other sentient beings, but you tune in especially to the particular topics and frequencies of mind that interest you the most. When enough people have gone through their personal version of The Shift to the new consciousness, then a critical mass will form and suddenly everyone will become aware of the New Reality and its heart-centered values. That is the day when heart-centered values will become the focus of everyday thinking for the vast majority of people. That is the day when humanity will begin to look back on what has changed and realize that a massive shift has occurred. A brief introduction to some aspects of Plasma Cosmology, and the role electricity plays here on Earth. Please check out these websites for more information! Nikola Tesla and the Electric Universe - The Big Picture. There was more to Nikola Tesla than a brilliant inventor, physicist, and electrical engineer. He was also very much aware of the broader implications for electromagnetism and electrodynamics. Nikola Tesla, Electric Universe, Conspiracy theories, consp theory, Plasma Cosmology, Electricity in Space, Astronomy, Electric Comets, Hannes Alfven, Kristian Birkeland, Wal Thornhill, David Talbott, Anthony Peratt, aether physics, free energy, zeropoint, consciousness. Nikola Tesla was born in Croatia (then part of Austria-Hungary) on July 9, 1856, and died January 7, 1943. He was the electrical engineer who invented the AC (alternating current) induction motor, which made the universal transmission and distribution of electricity possible. Tesla began his studies in physics and mathematics at Graz Polytechnic, and then took philosophy at the University of Prague. He worked as an electrical engineer in Budapest, Hungary, and subsequently in France and Germany. In 1888 his discovery that a magnetic field could be made to rotate if two coils at right angles are supplied with AC current 90¡ out of phase made possible the invention of the AC induction motor. The major advantage of this motor being its brush less operation, which many at the time believed impossible. Tesla moved to the United States in 1884, where he worked for Thomas Edison who quickly became a rival - Edison being an advocate of the inferior DC power transmission system. During this time, Tesla was commissioned with the design of the AC generators installed at Niagara Falls. George Westinghouse purchased the patents to his induction motor, and made it the basis of the Westinghouse power system which still underlies the modern electrical power industry today. He also did notable research on high-voltage electricity and wireless communication; at one point creating an earthquake which shook the ground for several miles around his New York laboratory. He also devised a system which anticipated world-wide wireless communications, fax machines, radar, radio-guided missiles and aircraft. This text has been entered by John R.H. Penner from a small booklet found in a used bookstore for $2.50. The only form of date identification is the name of the original purchaser, Arthua Daine (? ), dated April 29, 1978. The book appears to be considerably older, made with typewriters, and then photocopied and stapled. The only other significant features of the booklet is that it contains four photocopied photographs of Tesla, and was originally forty pages long. I must apologize for the quality of the scans, but the originals were of very poor quality, and this is the best that could be obtained after touching-up in Photoshop. The book has no Copyright identification, nor any means of contacting the publishers. As far as I am aware, this autobiography is no longer available in printed form anywhere. In the interest of making this important text available to the wider public, I have retyped the entire text word-for-word as it originally appears into this electronic format. The only words which appear in this file, that are not in the original book are this Editors Note, and the Introduction. I have exactly maintained page numbers as they appear in the original - including the somewhat odd artifact of Chapter 1 starting on page two. If anyone knows how to reach the original publisher, please contact me at the below address, so proper credit may be given where it is due. This file may be freely redistributed as long as it's content is not modified in any way. It may not be sold or published for profit unless specifically authorized prior to publication by the express permission of Kolmogorov- Smirnov Publishing, or John R.H. Penner. Unless otherwise notified, this work is Copyright ©1995 by John R.H. Penner. TRUE UNSUNG PROPHET OF THE ELECTRIC AGE! television would all have been impossible. this situation, and to fill this "BLACK HOLE" in information space. The progressive development of man is vitally dependent on invention. It is the most important product of his creative brain. Its ultimate purpose is the complete mastery of mind over the material world, the harnessing of the forces of nature to human needs. This is the difficult task of the inventor who is often misunderstood and unrewarded. But he finds ample compensation in the pleasing exercises of his powers and in the knowledge of being one of that exceptionally privileged class without whom the race would have long ago perished in the bitter struggle against pitiless elements. Speaking for myself, I have already had more than my full measure of this exquisite enjoyment; so much, that for many years my life was little short of continuous rapture. I am credited with being one of the hardest workers and perhaps I am, if thought is the equivalent of labour, for I have devoted to it almost all of my waking hours. But if work is interpreted to be a definite performance in a specified time according to a rigid rule, then I may be the worst of idlers. Every effort under compulsion demands a sacrifice of life-energy. I never paid such a price. On the contrary, I have thrived on my thoughts. In attempting to give a connected and faithful account of my activities in this story of my life, I must dwell, however reluctantly, on the impressions of my youth and the circumstances and events which have been instrumental in determining my career. Our first endeavours are purely instinctive promptings of an imagination vivid and undisciplined. As we grow older reason asserts itself and we become more and more systematic and designing. But those early impulses, though not immediately productive, are of the greatest moment and may shape our very destinies. Indeed, I feel now that had I understood and cultivated instead of suppressing them, I would have added substantial value to my bequest to the world. But not until I had attained manhood did I realize that I was an inventor. This was due to a number of causes. In the first place I had a brother who was gifted to an extraordinary degree; one of those rare phenomena of mentality which biological investigation has failed to explain. His premature death left my earth parents disconsolate. (I will explain my remark about my "earth parents" later.) We owned a horse which had been presented to us by a dear friend. It was a magnificent animal of Arabian breed, possessed of almost human intelligence, and was cared for and petted by the whole family, having on one occasion saved my dear father's life under remarkable circumstances. My father had been called one winter night to perform an urgent duty and while crossing the mountains, infested by wolves, the horse became frightened and ran away, throwing him violently to the ground. It arrived home bleeding and exhausted, but after the alarm was sounded, immediately dashed off again, returning to the spot, and before the searching party were far on the way they were met by my father, who had recovered consciousness and remounted, not realizing that he had been lying in the snow for several hours. This horse was responsible for my brother's injuries from which he died. I witnessed the tragic scene and although so many years have elapsed since, my visual impression of it has lost none of its force. The recollection of his attainments made every effort of mine seem dull in comparison. Anything I did that was creditable merely caused my parents to feel their loss more keenly. So I grew up with little confidence in myself. But I was far from being considered a stupid boy, if I am to judge from an incident of which I have still a strong remembrance. One day the Aldermen were passing through a street where I was playing with other boys. The oldest of these venerable gentlemen, a wealthy citizen, paused to give a silver piece to each of us. Coming to me, he suddenly stopped and commanded, "Look in my eyes." I met his gaze, my hand outstretched to receive the much valued coin, when to my dismay, he said, "No, not much; you can get nothing from me. You are too smart." They used to tell a funny story about me. I had two old aunts with wrinkled faces, one of them having two teeth protruding like the tusks of an elephant, which she buried in my cheek every time she kissed me. Nothing would scare me more then the prospects of being by these affectionate, unattractive relatives. It happened that while being carried in my mother's arms, they asked who was the prettier of the two. After examining their faces intently, I answered thoughtfully, pointing to one of them, "This here is not as ugly as the other." Then again, I was intended from my very birth, for the clerical profession and this thought constantly oppressed me. I longed to be an engineer, but my father was inflexible. He was the son of an officer who served in the army of the Great Napoleon and in common with his brother, professor of mathematics in a prominent institution, had received a military education; but, singularly enough, later embraced the clergy in which vocation he achieved eminence. He was a very erudite man, a veritable natural philosopher, poet and writer and his sermons were said to be as eloquent as those of Abraham a-Sancta-Clara. He had a prodigious memory and frequently recited at length from works in several languages. He often remarked playfully that if some of the classics were lost he could restore them. His style of writing was much admired. He penned sentences short and terse and full of wit and satire. The humorous remarks he made were always peculiar and characteristic. Just to illustrate, I may mention one or two instances. Among the help, there was a cross-eyed man called Mane, employed to do work around the farm. He was chopping wood one day. As he swung the axe, my father, who stood nearby and felt very uncomfortable, cautioned him, "For God's sake, Mane, do not strike at what you are looking but at what you intend to hit." On another occasion he was taking out for a drive, a friend who carelessly permitted his costly fur coat to rub on the carriage wheel. My father reminded him of it saying, "Pull in your coat; you are ruining my tire." He had the odd habit of talking to himself and would often carry on an animated conversation and indulge in heated argument, changing the tone of his voice. A casual listener might have sworn that several people were in the room. Although I must trace to my mother's influence whatever inventiveness I possess, the training he gave me must have been helpful. It comprised all sorts of exercises - as, guessing one another's thoughts, discovering the defects of some form of expression, repeating long sentences or performing mental calculations. These daily lessons were intended to strengthen memory and reason, and especially to develop the critical sense, and were undoubtedly very beneficial. My mother descended from one of the oldest families in the country and a line of inventors. Both her father and grandfather originated numerous implements for household, agricultural and other uses. She was a truly great woman, of rare skill, courage and fortitude, who had braved the storms of life and passed through many a trying experience. When she was sixteen, a virulent pestilence swept the country. Her father was called away to administer the last sacraments to the dying and during his absence she went alone to the assistance of a neighbouring family who were stricken by the dread disease. She bathed, clothed and laid out the bodies, decorating them with flowers according to the custom of the country and when her father returned he found everything ready for a Christian burial. 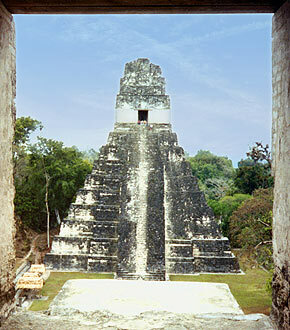 Together, we have led many sacred adventures deep into the Yucatan Peninsula. After five near-death experiences between us, we’re both on a life long search for spiritual truth. Our heart's desire, through the exploration of many Mayan ruins, is to understand the incredibly rich history and vast spiritual wisdom of this advanced ancient civilization. In the 21st century, the Mayan Calendar stands as an exquisite testament to the galactic knowledge commonly shared throughout this culture (and probably the world) in the time of our ancestors in the years leading up to and including 3113 BC. In many diverse places - from India to Egypt and into Mesoamerica - calendars such as the one designed by the Maya were created and in our recent history have been discovered. How they knew what they knew still remains a mystery; a mystery that is frequently the target of outrageous speculation and rumor. Some theorists venture to say that only extraterrestrial visitors could have brought the knowledge of the intricate workings of the cosmos to these early cultures. Others believe inter-dimensional beings were the ones who passed along the astronomical knowledge and architectural insight they so clearly possessed. Regardless of the source, the evidence remains unchanged - The Maya knew things about the universe, thousands of years ago, that we have only discovered within the past twenty years. According to the Maya, we are set to end this particular phase of creation on December 21, 2012. The world is not ending; no, far from it. However, this phase of Creation will end as it heralds the legendary dawning of its successor - The Age of Aquarius. These end days are teaching us to look beyond the illusion, for nothing is as it appears to be. The very fabric of reality is being rewoven as we move one step closer to bringing Heaven to Earth. Although it has never happened before in the recorded history of humanity, the Maya foretold the upcoming journey of our Sun into the very Heart of the Milky Way. Amazingly, this pre-Colombian culture was capable of tracking this galactic event (known to modern science as the 26,000 year Procession of the Equinox) which was destined to transpire several millennia into their future. 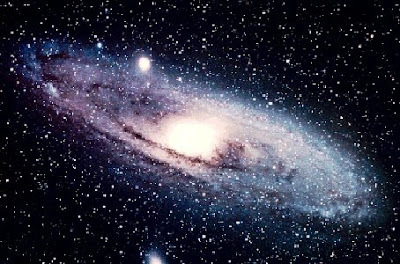 Obviously, this trek of the solar straight into the center of the galaxy has been underway for quite some time, however, the closer the Earth gets to the Galactic Center, the more swiftly and surely we are receiving higher consciousness frequencies. These elevated vibrations are the reason why there is a global spiritual awakening, of unprecedented strength and size, sweeping through every sector of our conscious reality. We are moving into a cosmic bandwidth that will allow us to experience reality on many different levels as well as from many varying perspectives. This quantum leap in our ability to perceive the truth, about space and real time, will alter the way in which we live life on Earth, for all time (or at least the next 26,0000 years). For example, consider the contribution the Internet has made to our daily lives. Cyberspace has given us instant accessibility to worlds of knowledge heretofore unattainable. Moreover, many of the things we now mindlessly participate in now, such as acts of aggression and world war, will have to be relinquished, for they will not remain viable (or be permitted) in the higher frequencies of Light we are entering. Most of us have already recognized a quickening of our time. There's simply not the same 24 hours in the day anymore. It seems to us that we are working twice as hard to accomplish half as much. This is due to the acceleration of Creation which, as a natural by-product, creates an acceleration of time. As everything continues to speed up, the truth of our identity as spiritual beings cannot help but become more and more obvious and undeniable. In fact, Dr. Carl Calleman believes, "The Mayan calendar is NOT an instrument for tracking the procession of time as previously thought, but as a meter and measure of the evolution of human consciousness." Yet, from a purely scientific perspective, it has been proven that the universe is four-fifths dark matter. Well, what exactly does this fact mean to the average person? Quite simply, this means there is indeed an invisible, intangible yet, connective spiritual substance linking everything in the universe into a cohesive, evolving state of oneness. What was once seen as superstitious nonsense, concepts of a weak mind, or foolishness, myth and psycho-babble is now being revered as astrophysics and quantum mechanics. This tells us that what the ancients recorded in antiquity is now being translated into a logical, modern language replete with definable, scientific terms. The myriad of recent discoveries within the realms of these modern sciences only reinforces the vast knowledge the Maya possessed regarding the possibilities of a future time; a time we now call the present. How very exciting for all of us! We have at hand the potential to create a future world where hatred, war, greed and deceit will find no shelter. But, it is only a potential until we take it upon ourselves to proactively search our inner natures to find that eternal connection to the Divine. Once found, we must then allow it to navigate our lives into the flow of the great inter-galactic, multidimensional energy, most recently streaming forth from the Heart of the Milky Way. Just as the courageous explorers of old used the trade winds and ocean currents to navigate their way to the shores of the unknown, in hope of discovering the New World, we must now align ourselves with the influx of cosmic energies waiting and willing to sail us into a new reality of time and space. Let us rig our sails, batten down our hatches, and chart our course for the brave new world set to begin on December 21, 2012. We can only accomplish this by getting ready today. There will be a many teachers coming along to show us how to become dynamic galactic citizens, and it is our responsibility to open our hearts and minds to their energetic presence. However, the gift of discernment will be our greatest ally. Heed only those teachers who foretell of endless possibilities, not doomsday scenarios. Humanity stands at the precipice of all possibilities, including destruction. Yet, armed with unconditional love and compassion, we shall not fail in our dedication to the fulfillment of creating Heaven on Earth. When we return from our current journey to the Yucatan, we shall share what we have once again learned from the ancient Maya, knowing it will reinforce the beautiful dawning of a New Age on Earth. Dannion Brinkley is an international best selling author. In 1994 Dannion's first book (with Paul Perry), Saved By The Light became an instant success. It was closely followed by his next best seller, At Peace In The Light, in 1996. He has recently written the third installment of his Light Trilogy drawing from his personal voyage and near-death encounters entitled, The Secrets Of The Light: Spiritual Strategies To Empower Your Life... Here and in the Hereafter (Heart Light Productions). This eloquent and highly inspirational book is an intuitively profound manual focused on spiritual strategies to empower life on both sides of the veil. According to the visions I received in the Heavens, the next six to eight years hold many surprises for us all. It is my deepest hope that we will be able to unearth and decipher the hidden power and purpose of all the twists and turns in the spiritual path just ahead. This new millennium holds more power than any other in history. We are all great, powerful, mighty spiritual beings for choosing to be part of this most special time on Earth. See: Dannion.com/main.html for more info. MerKaBa is centered at the base of the spine and has a direct effect on the kundalini energy that is also housed there. According to the Vedic understanding of the 'Kundalini Energy', it is coiled like a serpent' 3 & 1/2 times at the coccyx and under certain conditions will rise to the top of the body in an 'awakening' experience. It essentially means that this dormant energy flows freely up the spine and has a positive effect on the various chakras centers of the body. The MerKaBa facilitates this process of kundalini awakening by aligning the energy fields in that location and facilitates greater movement of energy throughout the body. It also opens blocked channels and cleanses the chakra points. Spherical Breathing is the process of taking energy in directly through the prana tube and sending out through the navel/heart is known as spherical breathing. It involves taking the prana (ether) from the Cosmos and the Earth through the crown of the head and the base of the body (perineum) simultaneously and combines them in the navel/heart area into a small sphere of light. Then it continue to radiate out from the navel/heart into a larger sphere that surrounds the body. Hence the "spherical" sensation of this energy flow. This method of taking energy directly into our bodies (not from a secondary source such as food) is utilized by dolphins, whales and individuals who choose to fast or not eat food at all.... known as breatharians. There are 17+1 breaths, where the first six are for balancing the polarity, the next seven for proper pranic flow through the entire body. The further breaths are for shifting the consciousness from 3rd to 4th dimension and finally the last three breaths is for re-creating the rotating Merkaba within and around the body. The last breath is not taught. Once each day, enter into this meditation, until the time comes when you are a conscious breather, remembering with each breath your intimate connection with God. HEART: Open your heart and feel love for all life. If you cannot do this, you must at least open to this love as much as is possible for you. This is the most important instruction of all. MIND: Become aware of the male tetrahedron (the apex facing up to the sun, the point facing to the front for male, the point to the back for females) filled with the brilliant white light surrounding your body. Visualize it the best you can. If you cannot visualize it, sense or feel it surrounding you. BODY: At the same moment of inhalation, place your hands in the mudra of your thumb and first finger touching. Remember, lightly touch your fingers, and do not allow your fingers to touch each other or any other object. Keep your palms facing up. BREATH: At this same moment, with empty lungs, begin to breath in a complete yogic manner. Breath through your nostrils only, except at certain places which will be described. Simply put, breath from your stomach first, then your diaphragm, and finally your chest. Do this in one movement, not three parts. The exhale is completed either by holding the chest firm and relaxing the stomach, slowly releasing the air, or by holding the stomach firm and relaxing the chest. The most important aspect is that this breathing must be rhythmic. Begin by using seven seconds in and seven seconds out, but as you get familiar with this meditation, find your own rhythm. The following instructions for a complete Yogic Breath are from "the Hindu-Yogi Science of Breath" by Yogi Ramacharake. Perhaps this description will be helpful. Breathing through the nostrils, inhale steadily, first filling the lower part of the lungs, which is accomplished by bringing into play the diaphragm, which descending exerts a gentle pressure on the abdominal organs, pushing forward the front walls of the abdomen. Then fill the middle part of the lungs, pushing out the lower ribs, breastbone and chest. Then fill the higher portion of the lungs, protruding the upper chest, thus lifting the chest, including the upper six or even pairs of ribs. At first reading it may appear that this breath consists of three distinct movements. This, however, is not the correct idea. The inhalation is continuous, the entire chest cavity from the lowered diaphragm to the highest point of the chest in the region of the collar bone, being expanded with a uniform movement. Avoid a jerky series of inhalations, and strive to attain a steady continuous action. Practice will soon overcome the tendency to divide the inhalation into three movements, and will result in a uniform continuous breath. You will be able to complete the inhalation in a few seconds after a little practice. Exhale quite slowly, holding the chest in a firm position, and drawing the abdomen in a little and lifting it upward as the air leaves the lungs. When the air is entirely exhaled, relax the chest and abdomen. A little practice will render this part of the exercise easy, and the movement once acquired will be afterward performed almost automatically. BODY: Keep the same mudra. MIND: Be aware of the flat equilateral triangle at the top of the female tetrahedron located in the horizontal plane that passes through your chest at the sternum. In a flash, and with a pulse like energy, send that triangular plane down through the female tetrahedron. It gets smaller as it goes down and pushes out the tip or apex of the tetrahedron all the negative energy of the mudra or electrical circuit, a light will shoot out of the apex toward the center of the Earth. The Mind exercise is performed along with the following BODY movements. The first part, the first six breaths, the balancing of the polarities, and the cleansing of your electrical system is now complete. You are now ready for the next part, the next seven breaths. Here an entirely new breathing pattern begins. You do not need to visualize the star tetrahedron at this time. Only the tube that runs through the star, from the apex of the male tetrahedron above your head to the apex of the female tetrahedron below your feet, needs to be seen and worked with. This extends one hand length above your head and one hand length below your feet. The diameter of YOUR tube will be the size of the hole formed by YOUR thumb and forefinger touching. HEART: Love. There is another refinement here that can be used after you have perfected this meditation. MIND: Visualize or sense the tube running through your body. The instant you begin the seventh inhale, see the brilliant white light of the prana moving down the tube from the top and up the tube from the bottom at the same time. This movement is almost instantaneous. The point where these two light beams meet within your body is controlled by the mind and is a vast science known throughout the universe. In this teaching however, we will only be shown what is necessary , that which will take you from third to fourth dimensional awareness. In this case you will direct the two beams of prana to meet at your navel, or more correct, within your body at navel level, inside the tube. The moment the two beams of prana meet, which is just as the inhale begins, a sphere of white light or prana is formed at the meeting point about the size of a grapefruit centered on the tube. It all happens in an instant. As you continue to take the inhale of the seventh breath, the sphere of prana begins to concentrate and grow slowly. BODY: For the next seven breaths use the same mudra for both inhale and exhale, the thumb, first and second touching together palms up. BREATH: Deep rhythmic Yogic breathing, seven seconds in and seven seconds out. There is no holding of the breath from now on. The flow of prana from the two poles will not stop or change in any way when you go from inhale to exhale. It will be a continuous flow that will not stop for a long as you breath in this manner, even after death. MIND: The prana sphere centered at the navel continues to grow. By the time of the full exhale, the prana sphere will be approximately eight or nine inches in diameter. BREATH: Do not force the air out of your lungs. When your lungs are empty naturally, immediately begin the next breath. MIND: The prana sphere continues to grow in size and will reach maximum size at the end of this breath. This maximum size is different for each person. If you put your longest finger in the center of your navel, the line on your wrist defining your hand will show you the radius of the maximum size of this sphere for YOU. This sphere of prana cannot grow larger. MIND: The prana sphere cannot grow larger, so what happens is the prana begins to concentrate within the sphere. The visual appearance is that the sphere grows BRIGHTER. BREATH: Sphere grows brighter and brighter as you inhale. BREATH: As you exhale, the sphere continues to grow brighter and brighter. MIND: About half way through this inhale, as the sphere continues to brighter, the prana sphere reaches critical mass. The sphere ignites into a sun, a brilliant blinding ball of white light. You are now ready for the next step. MIND: At the moment of exhale, the small sphere two hand lengths in diameter bulges to expand. In one second, combined with the breath talked about below, the sphere expands quickly out to the sphere of Leonardo, out at your finger tips of your extended arms. Your body is now completely enclosed within a huge sphere of brilliant white light. You have returned to the ancient form of spherical breathing. However, at this point, this sphere is not stable. You MUST breath three more times to keep the sphere stable. BREATH: At the moment of exhale, make a small hole with your lips and blow out your air with pressure. As you feel the sphere begin to bulge, all within the first second of this exhale, let all of your air out rapidly. The sphere will expand at that moment. BREATH: Breath rhythmically and deeply. At the end of the thirteenth breath you have stabilized the large sphere and are ready for the important 14th breath. MIND: On the inhale of the 14th breath, at the very beginning of the breath, move the point where the two beams of prana meet from the navel to the sternum, the fourth dimensional chakra. The entire large sphere, along with the original sphere, which is also still contained within the large sphere, moves up to the new meeting point within the tube. Though this is very easy to do, it is an extremely powerful movement. Breathing from this new point within the tube will inevitably change your awareness from third to fourth dimensional consciousness, or from earth consciousness to Christ consciousness. BODY: This mudra will be used for the rest of the meditation. Place the left palm on top of the right palm for males and the right palm on top of the left palm for females. It is a mudra that relaxes. BREATH: Rhythmic breath and deep. However, if you continue to breathe from your Christ center without moving on to the MER-KA-BA, which is what is recommended until you have made contact with your Higher Self, then shift to a shallow breath. In other words, breath rhythmically but in a comfortable manner where your attention is more on the flow of energy moving up and down the tube meeting at the sternum and expanding out to the large sphere. Just feel the flow. Use your feminine side to just be. At this point don't think, just breath, feel and be. Feel your connection to All Life through the Christ Breath. Remember your intimate connection with God. You are asked not to attempt this FOURTH PART until you have made contact with your Higher Self, AND your Higher Self has given you permission to proceed. This part is to be taken seriously. The energies that will come into and around your body and spirit are of tremendous power. If you are not ready, you could hurt yourself. If your Higher Self gives you permission to enter into the MER-KA-BA, then don t fear, for you will be ready. MIND: Be aware of the whole star tetrahedron. Realize that there are three whole star tetrahedrons superimposed over each other. One is the body itself, and is locked in place and never, except under certain conditions, moves. It is placed around the body according to maleness or femaleness. The second whole star tetrahedron is male in nature, it is electrical, is literally the human mind and rotates counter-clockwise relative to your body looking out, or to put it another way, it rotates toward your left side. The third whole star tetrahedron is female in nature, is magnetic, is literally the human emotional body and rotates clockwise relative to your body looking out, or to put it another way, it rotates toward your right side. To be clear, we are not telling you to rotate the male tetrahedron one way and the female the other way. When we say rotate the whole star tetrahedron, we mean the whole thing. On the inhale of the fifteenth breath, as you are inhaling, you will say to yourself, in your head, the code words, EQUAL SPEED. This will tell your mind that you want the two rotatable whole star tetrahedrons to begin spinning in opposite directions at equal speeds at the time of the exhale. Meaning that for every complete rotation of the mind tetrahedrons, there will be a complete rotation of the emotional tetrahedrons. BODY: Continue the mudra of the folded hands from now on. BREATH: Breath Yogic and rhythmically an deeply again, but only for the next three breaths, after that return to the shallow breathing. MIND: The two sets of tetrahedrons take off spinning. In an instant, they will be moving at exactly one third the speed of light at their outer tips. You probably will not be able to see this because of their tremendous speed, but you can feel it. What you have just done is to start the MOTOR of the MER-KA-BA. You will not go anywhere, or have an experience. It is just like starting the motor of a car, but having the transmission in neutral. BREATH: Make a small hole with your lips just like you did for breath Number Ten. Blow out in the same manner, and as you do, feel the two sets of tetrahedrons take off spinning. MIND: As you let out the breathe, the two sets of tetrahedrons take off from their one third speed of light setting to two third speed of light in an instant. As they approach two thirds speed of light speed a phenomena takes place. A disk about 55 feet in diameter forms around the body at the level of the base of the spine. And the sphere of energy that is centered around the two sets of tetrahedrons forms with the disk to create a shape that looks like a FLYING SAUCER around the body. This energy matrix is called the MER-KA-BA. However, it is not stable. If you see or sense the MER-KA-BA around you at this point, you will know it to be unstable. It will be slowly wobbling. Therefore Breath Number Seventeen is necessary. BREATH: Same as breath 16, make a small hole in your lips, and blow out with pressure. It is at this point that the speeds increases. As you feel the speed increasing, let out all your breath with force. This action will cause the higher speed to be fully obtained and the MER-KA-BA to be formed. HEART: Remember, unconditional love for all life must be felt through out all of this meditation or no results will be realized. MIND: As you breathe in, say to yourself, in your head, the code NINE TENTHS THE SPEED OF LIGHT. This code will tell your mind to increase the speed of the MER-KA-BA to nine tenths the speed of light which will stabilize the rotating field of energy. It will also do something else. This third dimensional universe that we live in is tuned to 9/10 the speed of light. Every electron in your body is rotating around every atom in your body at 9/10 the speed of light. This is the reason this particular speed is selected. BREATH: Breathe rhythmically and in a Yogic manner. MIND: The speed increases to 9/10 the speed of light and stabilizes the MER-KA-BA. BREATH: Same as breath 15 and 16, make a small hole in your lips, and blow out with pressure. As you feel the speed take off, let all your breath out with force. You are now in your stable and Third dimensionally tuned MER-KA-BA. With the help of your Higher Self, you will understand what this really means. This very special breath will not be taught here. You must receive it from Your Higher Self. It is the breath that will take you through the speed of light into the fourth dimension. You will disappear from this world and reappear in another one that will be your new home for awhile. This is not the end, but the beginning of an ever expanding consciousness returning you HOME to your FATHER. Ascension has been a major buzzword in the New Age community for more than a decade. Information about ascension has come from numerous spirit guides and ascended masters, through many different channels. We've been counseled to heal our dysfunctions and let go of our blockages, to prepare for ascension into our light bodies. We've been shown visions of a time when we will slough off the need for food as sustenance along with other basic human needs and limitations. Of course, there is a time-honored way of sloughing off the limitations of the human body already in common use-it's called "death." And ascension is definitely not death; it's something else entirely. Yet in order to ascend we must, in a very real and present sense, "die" to certain aspects of human behavior and of human biology. To gain a better understanding of the coming ascent from human flesh into our light bodies, we begin by remembering the long-ago descent of our lightbodies into human flesh. In the teachings of tribal traditions, belief systems, mythologies, faiths and religions, there is a common thread that poses and answers the question, "Where did we come from?" Someone dreamed us... someone made us... someone sent us here. Someone invented us and empowered us. The source of our forms and lives, the source of our abilities to maintain, sustain and reproduce our species, the source of our strength, intelligence and guidance is generally acknowledged to be a force that stands above and beyond ourselves, a force that comes from outside. The Hopis speak of the creator Taiowa and his nephew Sotuknang, who drew up the solids, the waters and the winds from endless space. Basques, Australian Aborigines, the Iroquois and the Gypsies, along with a number of others, tell timeworn tales of their ancestors having come to Earth from afar. Hindu creation mythology speaks of a lotus flower floating on the waters of infinity, and a number of Oriental and Polynesian traditions refer to a huge turtle upon whose back all land and land animals, including humanity, came into existence in the midst of surrounding primordial waters. Judeo-Christian tradition begins with the Bible's familiar Old Testament quotation: "In the beginning was the Word, and the Word was God, and the Word was with God." In this way we are given to understand that all creatures great and small upon the Earth (and indeed, the heavens and the Earth themselves) came into existence as the thought forms-the choices and intentions-of the powerful being we call God. And so it was on Earth at humanity's beginning. The cosmic mystery of life itself had been unfolding for countless eons across a boundless universe. Forces of light had created our planet and focused on it, setting the wheels of perpetual creativity into motion. An ecological process had been in operation for countless millennia, biodiversity was an established norm and animal life was abundantly present on the planet-along with powerful beings of light from the source planets in the Pleiades-before the first human being came into existence. In the transition from pure thought form to physical incarnates, the colonists established within themselves a physical structure loosely comparable to that of the planet's pre-human animal population, but with certain differences. They entered into bodies of flesh and blood, bone and tissue, cellular biology and microbiology, yet the whole of it was still powered by direct universal energy, rather than food-source fuel. It wasn't until much later, long after the great sharing of the divine spirit, that the star-colonists converted to an energy source that relied on food for fuel. That came gradually over the centuries as the vibration of a young humanity was steadily rising and the vibration of the star-colonist elders was steadily diminishing. At last, the personal vibrations of the two classes-humans and colonists-were close enough together to permit intermingling and interbreeding. In this way, divine and animal natures came to exist in one marvelous creature: the human being. That was a major milestone in the Earth's development. The original colonists and their descendants gave up the last remnants of their special powers and privileges, and invested themselves more fully in mortal lives. Within a few generations, they became so absorbed by their own condition of humanity as to have forgotten that they had only recently been gods and goddeses. It was then that the star colonists switched from reliance on direct energy sources to the food-fuel process. They continued to be powered by electricity-"energy"-as before, but now the source of that electrical energy was provided by an internal process rather than by tapping into an external source. It was then that they also gave up their expectations of life spans extending over hundreds of years and entered into a series of shorter incarnations. From that time, we humans have relied on the internal production of electrical energy to power our lives The process of converting food to fuel, within a human body relies on tiny cells within our cells, called mitochondria. The mitochondria hold the keys to life, and the keys to death, as well. "Mitochondria produce virtually all of a cell's energy. They use the oxygen we breathe to burn the food we eat. Just like a power station burning coal or gas, the mitochondria use the energy released from the burning process to produce electricity. So our cells are really powered by electricity." In one carefully crafted physical process, the former star colonists of early Earth embodied internally the operational principles of life and death. Like the other life forms of the planet, they were dependent on their own bodies instead of relying on external sources of energy. They became progressively more distanced from the external energy sources (free energy) upon which they had previously depended. Even though this happened more or less gradually over a period of a few hundred years, it must have been quite a shock to them. And at that juncture, the hows, whys and microbiological details of their own life and death processes would have been so obscure as to be totally beyond their comprehension. Now, after all these millennia of human experience and development, researchers and scientists are unraveling the secrets of human microbiology. They are unlocking the riddles of foods that hurt and foods that heal. They are mapping the human genome and exploring visions of a new kind of human perfection. They are focused on the mysteries of human aging, mortality and immortality. Intellectually, they are seeking something very much akin to what the metaphysical thinkers are seeking spiritually-human ascension into the lightbody. Both groups know instinctively that it can be done because they have deeply buried memories of a time when lightbodies were the norm. After the star colonists had "downgraded" and descended vibrationally into humanity, there followed a long, slow process of human intellectual and spiritual growth. There were always individual anomalies and exceptions, but the vibration of humanity as a whole were through a wavelike series of peaks and troughs. At some point the vibrational downslide bottomed out, and the rising curve (still manifested in a wavelike series of peaks and troughs) took hold. The divine spark of light itself that had been breathed into the newly human and boosted by the self-investment of the star colonists began to shine more surely and brightly. Human vibration has been steadily on the rise for quite some time, and some of us are starting to think in terms of "upgrading" to a significantly higher vibrational base. We call it ascension. Converting the human body from a food-based energy to direct cosmic ("free") energy is like converting a fossil-fueled home furnace to an electric heat pump. The distribution equipment-the ductwork-that distributes energy throughout the body may be maintained in place and will continue to function, though the source of its energy has been completely changed. In order to accomplish this in our bodies, the mitochondria will have to be either phased out or retrained. To assume our lightbodies we have three basic options: death and resurrection, simple ascension and empowered ascension. Death and resurrection are, as the terms imply, a death crossing followed by a rising again to life. It doesn't matter how death comes; our spirits leave our bodies and the body shuts down. The empty body, no longer the vessel of a living being, is sloughed off, discarded and soon decays. The mitochondria within each cell of the body die as the body dies-and indeed, they will have played a key role in creating the death of the body. When death is followed by resurrection (as opposed to spirit plane life and/or rebirth), the physical body is wholly reconstituted as a "lightbody" thought form manifestation, having achieved godlike immortality. There is indeed a physical body present, but the resurrected lightbody will not age or decay or die, though it may disappear or change-and indeed might be changed in an instant according to the creative intentions of the spirit who inhabits it. The resurrected lightbody has no need of the food-as-fuel conversion process, but relies on pure energy as the star colonists once did. Therefore, even though the body might appear to be made up of cells and tissues, it is not. It is a thought form manifestation and contains neither cells nor mitochondria within them. Simple ascension is essentially a one-way trip to the etheric planes. There is no death crossing per se. We step into our lightbodies and simultaneously step through the veils of illusion to the "other side." In this case, the mitochondria are phased out at the moment of our being absorbed into the lightbody. They are burned away like dross and cease to be a part of our ascended selves. If living persons were able to witness this event, they would see us begin to glow more and more brightly...and then disappear into the light. There would be no body left behind to bury, and unless there was a whole crowd of witnesses (including, perhaps, a law enforcement official or two) the disappearance would be hard to explain to the civil authorities who concern themselves with such things! Can you imagine the confusion this might cause? Meanwhile, the ascended one(s) would find themselves in the etheric world or spirit planes that surround the Earth. From that point on, they would have exactly the same opportunities for unlimited life in the Earth sector or elsewhere as those who had come to the spirit planes through the gates of the death crossing. Empowered ascension is more complex, and requires much preparation, yet it can be done. One who achiever empowered ascension will have all the qualities of those who have stepped into their lightbodies through death/resurrection or simple ascension, plus the ability to maintain a continued presence on the physical Earth plane in physical form. It will be "physical" in the sense that it is tangible, to the self and to others and has all the functional options of a physical body. Yet it will be a new kind of physical, thanks to the empowered options of the lightbody. Simple ascension is an assumption of the physical body into the lightbody; empowered ascension is an assumption of the lightbody into the physical body. It is a full manifestation of God-light in humanity through which humanity-even if only in the presence of one person, one example, one "first" achiever to blaze the trail-"graduates" into God-hood. Those who achieve empowered ascension here on Earth will be the first fully mature prototypes of a new breed of physical, sentient, spiritual, empowered humans, whose impact on the Earth sector and the entire cosmos will be enormous. Curiously enough, it is easier to phase in the new free energy source than it is to phase out the old food-as-fuel energy source within the human body. When the decision to step into the lightbody has been made and begins to be implemented, countless trillions of mitochondria suddenly find themselves deprived of their primary raison d'etre as power plants within human cells. They are no longer needed to sustain the life of the body, so they then turn to their secondary task, which is to participate in creating cell death. As Brown explains, "Cells can die in two different ways...chaotic explosion or controlled suicide. The former is known as necrosis and the latter as apoptosis. Necrosis is a frenzied, savage form of killing... the mitochondria and other parts of the cell blow up like balloons and explode. This can be a big problem for the rest of the body, too, because the release of a cell's total contents, including toxic chemicals and enzymes, damages surrounding healthy cells and causes general inflammation. Apoptosis, also known as programmed cell death, is a much more orderly process, in which the cell is gradually disassembled from within and digested by white blood cells. It is a chain reaction. When we make a decision to seek ascension, we unconsciously (as well as consciously) look for ways to implement that decision. Our bodies get the message and start converting from the internal production of energy (food converted into fuel by the mitochondria within our cells) to reliance on free energy. Although we might continue to consume food, we find ourselves no longer dependent on diet/nutrition for our sustenance; virtually all of what we eat is processed and expelled as waste. At that point in the pre-ascension process, the old familiar patterns of creating and maintaining good health (a sensible diet, moderate exercise, getting a "normal" amount of sleep, and so forth) play a steadily diminishing role in maintaining body energy and no role whatsoever in determining overall body health or body appearance. At the same time, the physical body of one who has embarked on the empowered ascension path becomes progressively less likely to be negatively affected by purely physical external stimuli (such as viruses, bacteria, toxins, adverse weather conditions, routine minor cuts and bruises and insect stings). Conversely, the physical body-whose very nature is in the process of changing and preparing for the major transformation soon to come-is also less likely to be helped by traditional health care methods or interventions. That's really not a problem, though-by the time people are candidates for empowered ascension, they will already have become intimately familiar with natural healing methods, including vibrational healing such as Reiki, Mahikari, noninvasive psychic surgery, a variety of aura therapies, chakra repairs and other metaphysical methods of addressing imbalances and dysfunctions. One who has embarked on the ascension path will typically experience a seesaw effect in everyday life. Sometimes she or he will feel superhuman: energy flows easily, challenges are minimized, productivity and overall sense of well-being are enhanced. At other times, he or she may feel all too human, weighed down by heavy tasks and challenges, aware of every little ach and pain, and at the mercy of setbacks and delays and even crises as energy flows uncertainly. Differences between rising inner vibrations and the heavy vibrations of the surrounding environment can take a heavy toll. It is during this phase that the bodily process of converting food to fuel tries to kick in. The mitochondria are stimulated into a frenzy of activity and go on a rampage of creating cell death. The body starts breaking down in various ways, and we feel all sorts of warning lights starting to flash in our consciousness. This brings to a body focus, as well as opportunities for decisions that will heal and restore a sense of wholeness. Those on the ascension path will want to do more than just correct today's imbalance and dysfunctions or to allay momentary concerns; they will want to look deeper into the situation and find ways to solve the problem on a broader basis. "If I'm on my way to the lightbody," they ask themselves, "then why is my physical body breaking down?" Actually, the physical deterioration (whether minor or major) may well be a natural part of the ascension process. As such, it will require progressively greater understanding and stronger problem-solving skills. All in all, the pre-ascension process involves a restructuring-and often a redesigning-of the lightbody. During this phase, the mitochondria must be dealt with. Otherwise, they will continue to attempt to implement their old program of creating cell death. How will the mitochondria be dealt with? That remains to be seen. At this moment there are several candidates for empowered ascension, each creating his and her own methods for bringing the lightbody into the physical body. Each is intently focused on the transformation and on how to implement it each brings the combination of a uniquely human resourcefulness and a growing divine empowerment to bear on problems as they arise. And as one discovers or creates a breakthrough in understanding or methodology, the thrill of success is felt at once by others across the world who are on the same wavelength. · Flashpoint Conversion: This model of mitochondria phaseout is based on the method used in simple ascension. At the moment of final transformation, the mitochondria-and any other appropriate material in the body-would simply be burned away as dross during the initial moments of the integration of the physical body and lightbody. This method would be quick and clean, but would also require great delicacy in implementation. If the candidate were even so much as a micrometer misaligned in preparation, timing or execution, he or she would either fail in the attempt or, more likely, slip into simple ascension (bringing the physical body up into the lightbody) instead of empowered ascension (bringing the lightbody down into the physical, resulting in the "new kind of physical" human of we have spoken). · Cellular Redesign: This begins with reprogramming of one's personal DNA. Old programs are identified, examined and phased out or redesigned. Old cells in the physical body (that are dependent on the mitochondria's conversion of food to fuel) would continually die off as is the normal process that exists today. The new replacement cells would be the redesigned "upgrades," drawing free energy directly from external sources (and therefore having no mitochondria, for which there would be no need). These cells would in and of themselves embody a kind of microbiological empowered immortality, for they would be capable of instant transformation into any form-including reversion to pure energy, which many people think of as being "formless"-but they would never die. Immortal cells would eliminate the need for those bodily systems that now manufacture and distribute new cells. Those systems could then be redesigned to serve some other useful or aesthetically pleasing purpose. 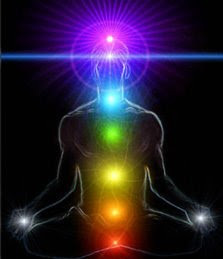 · Chakra Upgrades: Existing chakras within the body and aura would be replaced, one or two at a time, with redesigned chakras capable of implementing the intentions of the candidate for empowered ascension. This would include the twelve major chakras, plus the secondary and tertiary minor chakras, and could easily be designed as a two- or three-step upgrade. The improved chakras would draw free energy directly from universal source into the aura, and distribute it throughout the physical body. They would also distribute information-a schematic of the cellular redesign plan-to all parts of the body, along with the free energy. New cells would be automatically upgraded as they were generated, and existing cells would be re-educated. Mitochondria would be phased out or retrained at the cellular level, one body area at a time. In order for this method to work smoothly, you wouldn't necessarily have to reprogram your individual DNA, but you would definitely have to deprogram it selectively in order to prevent old programs from interfering with the details of the upgrade intention(s). Mitochondria Retirement/Relocation Program: This format calls for direct telepathic communication or creative visualization contact with the mitochondria that live inside our cells. If you are a candidate for empowered ascension, you would speak to them as a group or ask that they put forth a leader or team of leaders for you to talk to. If you prefer, you might also create a thought form personification to represent your mitochondria. It would be appropriate and courteous to acknowledge the positive role they have played in your life (lives) and to thank them for their participation. You would address them in a loving way, offering a win-win scenario in which they would be phased out in your body (in a gradual and orderly way-not by mass cell death) and transferred to another appropriate host or retirement community. Once a destination has been located ( or created), your guides will back you up by providing transport for the mitochondria. Remember, you don't want them to all leave at once! Until you are restructured into immortal status, you'll need the mitochondria to keep killing off old cells to make way for the new ones being generated. · Mitochondria Retraining: Like the previous method, this is also based on open communication with the mitochondria. Instead of arranging for them to be retired or relocated, however, you would talk to them about the need to phase out the food-to-fuel conversion method and ask them to reconfigure themselves to be able to access free energy from the universal source and distribute it correctly throughout your physical body-your new physical body. It would be something akin to converting a fossil fuel power plant to nuclear power. The distribution system would remain in place, but the source would be very different. Empowered ascension is an intimately personal process. Every aspect of the process and every experience along the way belongs uniquely to the individual candidate. One might choose a combination of the technique suggested above and/or create entirely new methods for handling the microbiological details of the ascension process. The lightbody is a birthright of humanity; everyone will step into it sooner or later, one way or another. It is the destiny of humanity to come to know its own divinity. It is nirvana and light-merge; it is becoming one with the All. It is wonderful, and you will come to experience it...regardless of which pathway you choose and even if it takes you a long time to get there from here. But empowered ascension is beyond a simple integration with the lightbody. It is not a birthright; it must be earned. It must be actively, consciously co created. The empowered ascended one becomes a living God on Earth. She or he will be in full oneness with the higher powers, yet will also walk the Earth in godly power and grace, taking part in the life of the planet and in the lives of its inhabitants as she or he may see fit. If it's what you want, you can do it The concept of empowered ascension is a uniquely human one, and will mark the creation of a new breed of human beings in whom higher powers are also vested. The universe is watching in breathless anticipation for the next development in the process, the next step forward. Microbiology, the restructuring of the physical human body so that it can successfully sustain the assumption of the lightbody into itself, is a critical part of the process. Science can contribute to the making of this miracle, but science alone cannot make it happen. The researchers who decipher the mysteries of microbiology and map the human genome are giving the candidates for empowered ascension more tools to work with, more information to build on, but that won't be enough. Empowered ascension is both a physical process a spiritual process. You can't get there by body focus alone. Scientists are on a path toward reducing (and eventually eliminating) a number of physical health challenges through genetic alteration and gene therapy. Even though there might be some expensive mistakes along the way, this is, in principle, a wonderful thing for humanity. However, its benefits-improved quality of life and a tendency toward greater longevity-cannot, in and of themselves, bring about ascension. Apart from the issues of spiritual development that pave the way for ascension, there is also a glaring omission in the scientific research and development approach toward achieving human immortality: no one is working on converting the human body's fuel source from food to direct energy and the subsequent questions of how to deal with the mitochondria. The traditional scientific research community, despite their great leaps forward in genetic research, would presumably laugh at the idea that such a thing is even possible. This aspect is clearly being left to the spiritual "Research & Design" community, and perhaps that is just as well, for only the most unlimited and freethinking researchers are going to be able to come up with workable solutions to the problem. Science can't make it happen. Ritualistic or religious approaches can't make it happen. Limited thinking can't make it happen. Simple body focus can't make it happen. It's going to take the fully developed spiritual qualities of an enlightened candidate whose intelligent imagination and resourceful problem-solving skills represent the best of humankind. And it's going to take the intense focus of someone who truly wants empowered ascension for all the right reasons. It's going to take someone who knows herself/himself to be truly human and who is ready to mature into his/her essential divinity.